When you're competing in, or training for, a match or other precision oriented shooting event, the last thing on your mind is picking up casings off the floor. 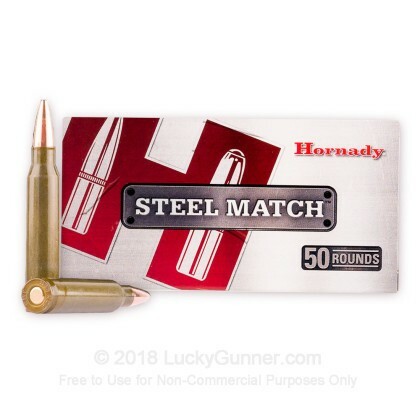 So cut your costs and use Hornady Steel Match ammo, which combines high-quality loading and match grade bullets with sturdy but inexpensive steel cases. 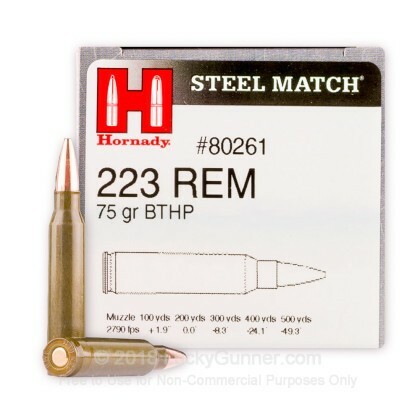 This .223 Remington version is perfect for AR-15s and other .223 Rem/5.56 NATO rifles. 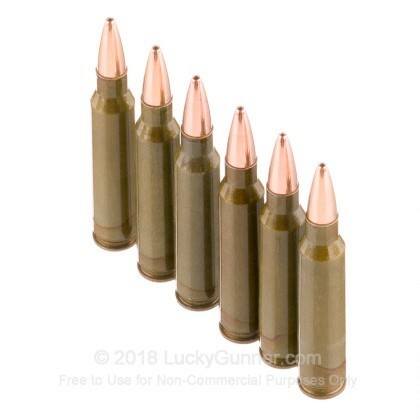 Each cartridge in this box of 50 fires a heavy 75-grain boat tailed hollow point bullet at a muzzle velocity of 2,790 feet per second. 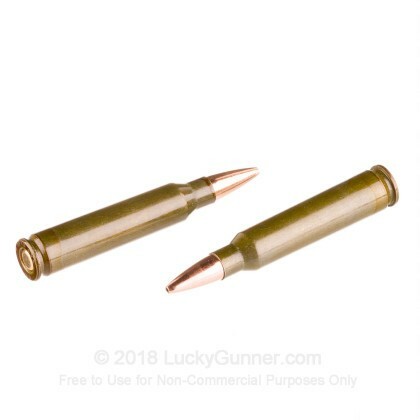 These hollow points, which are optimized for superior accuracy rather than terminal performance, are relatively heavy and possess excellent stability in flight. The boat tail further enhances this by improving the projectile's resistance to crosswinds. Hornady Steel Match ammo is loaded in Grand Island, Nebraska using non-corrosive primers. 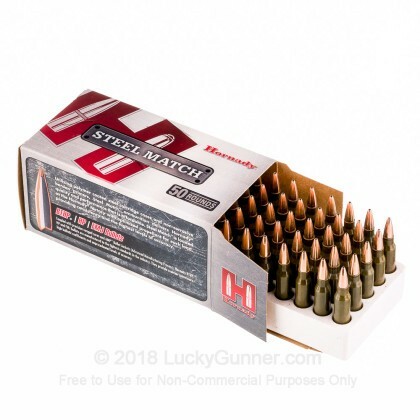 Steel Match ammo features US-made, nonreloadable, polymer-coated steel cases; note that not all ranges allow the use of steel cased ammunition. 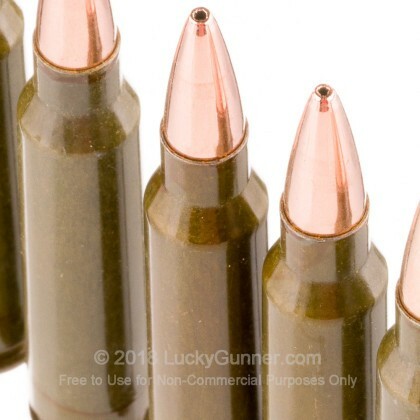 A: These are loaded with Hornady's Match bullets which have a copper jacket and lead core. The only steel is in the case.